Maoly is originally from the Dominican Republic where she lived until she was nine before moving to Harlem, New York. 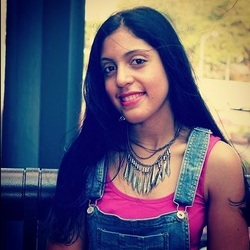 She is a writing minor and the Vice President of the Latin American Student Organization at John Jay. Her writing has appeared on her Arawak27 blog and the 2014 New York State Assembly Collection of Poems by Dreamers.